Clark-Shaw Road, Powell; ClarkShaw LLC to M/I Homes of Central Ohio LLC; $653,891. 11381 Trenton Road, Galena; A.B.K. & K.R. to Gibson, John Bradley Trustee; $400,000. 5500 Genoa Farms Blvd., Westerville; Miller, Joshua M. to Wyatt, John; $251,000. 11951 Center Village Road, Westerville; Robinson, Thomas P. to KKR Family LLC; $290,000. 112 Hewes Street, Delaware; Carroll, Thomas E. & Katharine L. to Brubaker, Eliot Charles; $143,000. 359 Seatrain Drive, Delaware; Spiegelberg, Heather to Stevens, Tyler & Rebecca; $205,900. 3470 Timberside Drive, Powell; Fischer, Derrick A. to Rajah, Chelliah S. & Shan, Yoges; $239,900. 224 Night Bird Lane, Delaware; Pulte Homes of Ohio LLC to Jethwa, Gaurang N. & Gurjot K.; $447,740. 4796 Dildine Road, Delaware; Lehner, Stephen Shawn & Christy to Lehner, Stephen M. & Shelda C.; $180,000. 8551 Meacham Court, Powell; Messmer, Fred R. III & Karen L. to Sanders, Allen R. & Charise; $574,000. 6663 Henschen Circle, Westerville; Johnson, Peter M. to Moses, Nelson; $200,000. 4230 Gediz Drive, Powell; Weber, John M. & Tammy S. to Kastl, Adam & Margaret; $640,000. 5640 Sedgewick Lane, Galena; Glade at Highland Lakes LLC The to Fischer Homes Columbus LP; $138,000. 5401 Stover Road, Ostrander; Reck, Rodrick K. to Burgess, Christopher Jackson; $145,400. 2830 Lewis Center Road, Lewis Center; Swalley, Albert L. & Rosalie J. 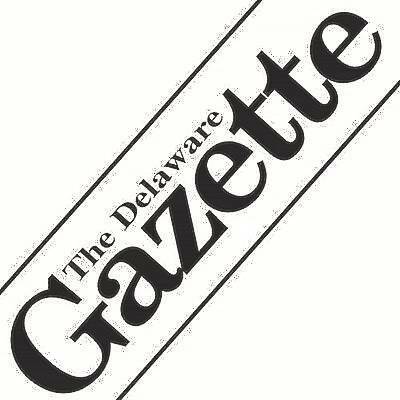 Trustees to Delaware Properties LLC; $315,000. 609 Heartland Meadows Drive, Sunbury; Smith, Allen G. & Cheryl A. to Alnemer, Mohmad Firas; $238,000. 2160 Hayer Court, Lewis Center; Wharton, Phillip R. to Zimmerman, Jason M. & Michelle L.; $326,500. Fancher Road, New Albany; CountryTyme Land LLC to Eramo, Michael G. & Jennifer M.; $118,000. 6771 Seckel Drive, Westerville; Salts, Stacey M. to Horning, Gregory W. & Melanie A.; $270,000. 2440 Wyndbend Blvd., Powell; Dickman, Nathan T. & Andrea J. to Stephens, Samuel & Carlene; $470,000. 598 Elbridge Street, Delaware; Pulte Homes of Ohio LLC to Johnson, Adam & Tonya; $290,164. 339 Linwood Street, Delaware; Wilson, Troy M. & Reece, Rachelle L. to Greenlee, Sean M. & Jennifer E.; $274,000. Dublin Road, Delaware; Denco Group LLC The to Riverside Land Development LLC; $190,000. 22 Providence Lane, Delaware; Evans, Todd & Crystal D. to Mills, Steven A. & Westlake, Malinda D.; $212,500. 1380 U.S Highway 42, Delaware; Sheets, Marilyn R. to Cashman, W. Patrick; $355,000.